"I want to be notified any time suspicious activity is reported around the Manhattan entrance to the Holland Tunnel." Here is an alert that landed in my inbox from another geo-fence alert I set up. Nice! 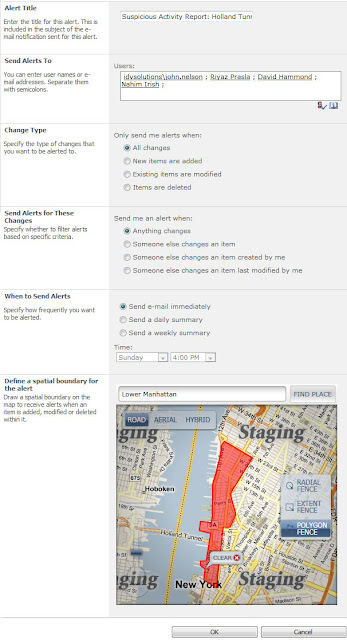 The ability to add geo-fences as criteria to alerting rules is another way that Visual Fusion is breathing where into your SharePoint environment. 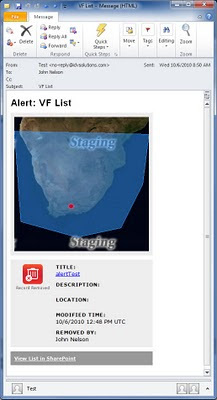 For more information on the Fall 2010 release of VF 5.0, or for more examples of maps in action, drop us a line.